Because there are some real fiscal challenges associated with implementing Proposition 3 as originally written, improvements were in order. 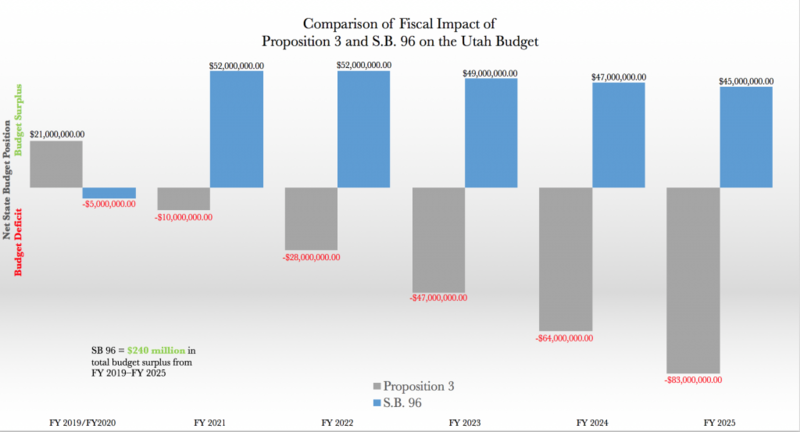 In its final form, SB 96 provides the coverage sought for by Proposition 3 in a sustainable, cost effective way. It implements the will of the people to care for the poor with quality health care with the added benefit that it can be sustained over the long term with no reduction in other important social services. A: Actually, Medicaid Expansion through Proposition 3 presents real problems when it comes to sustainability and affordability for the state, and by Fiscal Year 2025, it is expected to be $83 million in the hole for that year alone, and that’s assuming enrollment stays within projections. In most states, enrollment far outstrips projections. To have a successful Medicaid program, the state needs to plan for a surplus, not a deficit in order to stay in the black. 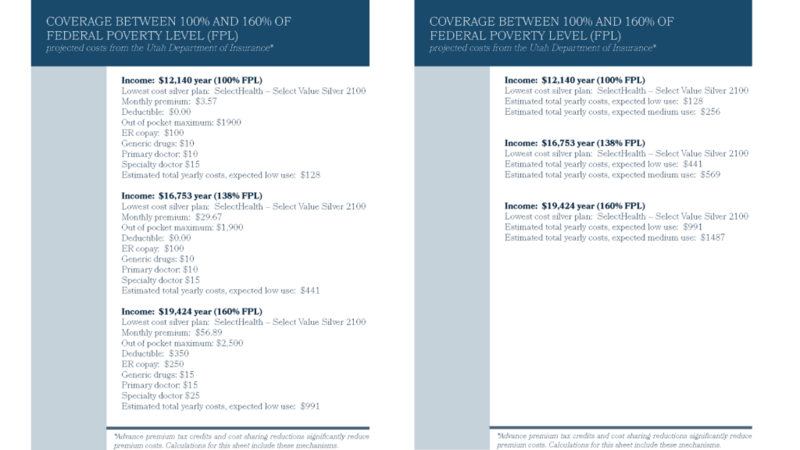 Across the country the per-person cost of expanding Medicaid has exceeded projections by 76 percent, enrollment has nearly doubled original estimates, and predictions about the total cost missed the mark by 157 percent. Policymakers want to minimize the state’s exposure to these costs while maintaining quality care for this population. Encouraging their participation in the federal healthcare exchange accomplishes this. A: It may seem rushed from the outside, but in fact, state leadership has been working through these precise issues intensively each legislative session since 2015. The parameters of the issue have not changed, and many legislators and members of the Governor's administration have dedicated significant time and resources to educating themselves on the ins and outs of healthcare coverage in order to design the best program possible. A: Based on discussions with federal partners, Utah leaders are encouraged that the state can get greater flexibility for its Medicaid program. Seema Verma, the Administrator of the Centers for Medicare and Medicaid Services, is providing strong leadership. Verma knows, from her experience in the trenches directing Medicaid at the state level in Indiana and from her experience at the highest levels in Washington, that the best way forward for sustainable Medicaid expansion is through flexibility and innovation. Furthermore, others within the administration recognize that with the House of Representatives controlled by Democrats, the Affordable Care Act itself is not going away and the path to fiscal stability in health care is going to be through innovation at the state level created by granting thoughtful waivers. That is why the state is willing to take the calculated risk of creating a bridge program and seeking waivers.